Callie helps creative entrepreneurs and small business owners build intentionally designed brand identities and websites. 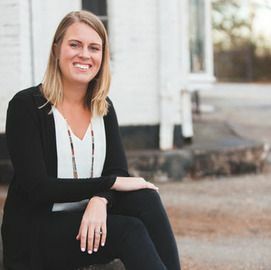 After 5 years in the corporate world, she moved from San Francisco to Atlanta to pursue her dream of running her own business. She is now the ... Más informaciones co-founder of The Look & The Feel, an online brand agency she runs with her business partner, coach, and writer, Shelly Jackson Buffington. She also runs her own personal design business at Callie Cullum Design.